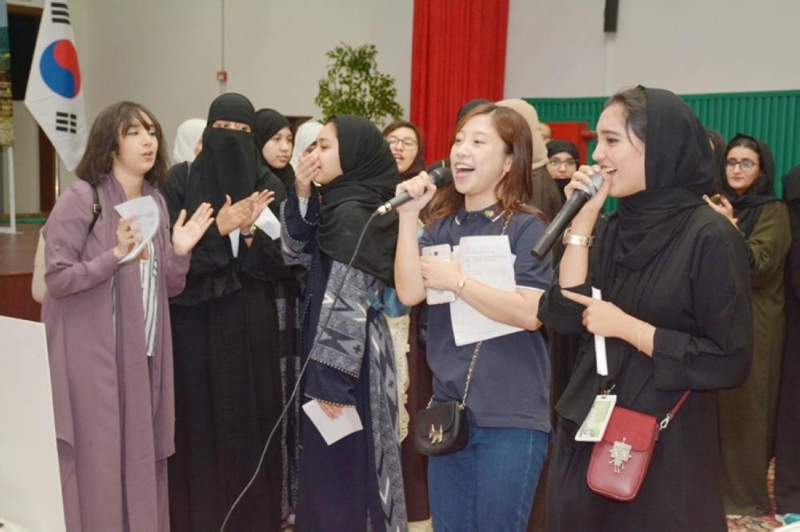 JEDDAH — Many young Saudis, including large number of women, thronged to the Korean International School here to familiarize themselves with the cultural habits during a Korean Cultural Day that held here recently. The cultural practices included songs, sports and food of Korea with the nationals showing their interest in Korean culture day. 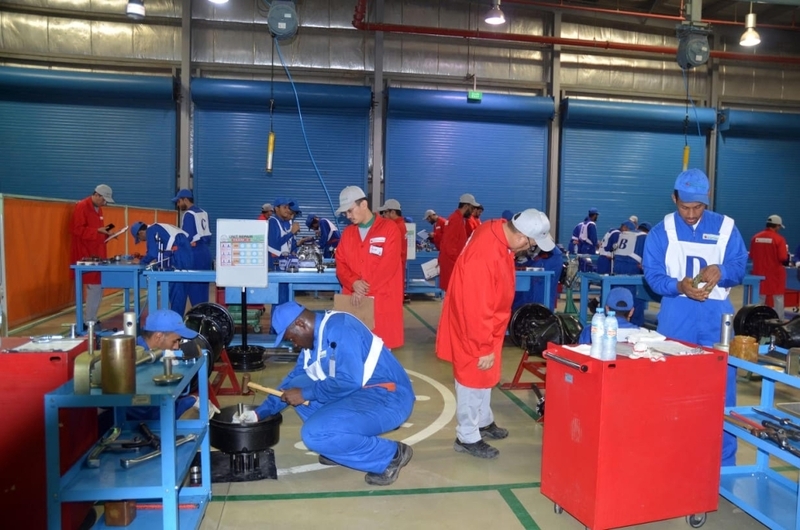 The Korean Consulate and the Korean International School held their country’s cultural day with fanfare with the aim to bolster people to people contacts between Saudis and Koreans. “We want to promote people to people contacts between Saudis and South Koreans, especially among the young and students, therefore we have displayed wide range of our culture and traditions which Saudis can get a feel of,” Sang-Kyoun Lee, consul general of South Korea, said. 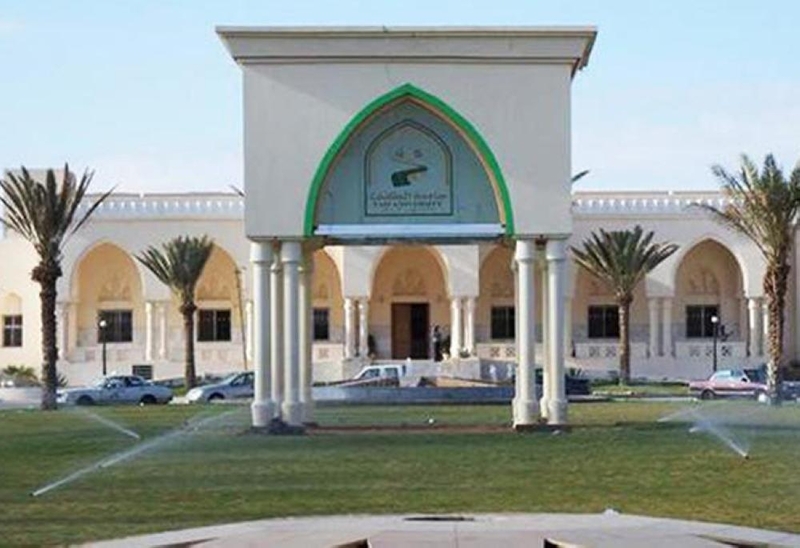 He told Saudi Gazette that such exchanges would strengthen bilateral relations between the people of the two countries. Lee said that South Korea wants to enhance further the Saudi-Korean Vision 2030 and reach people’s heart with these initiatives. Lee underscored that both countries have cooperated in various sectors ranging from traditional fields of construction and energy since early 1970s and 80s to renewable and nuclear energy, culture and many other fields in recent years. 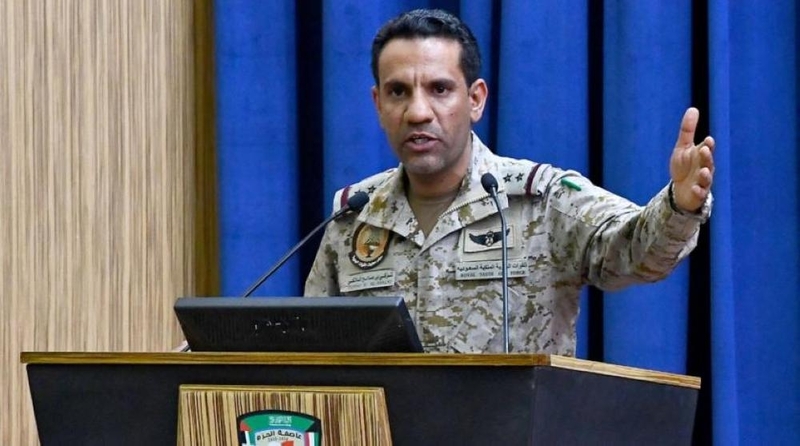 The consul general said that a significant number of Saudi students have been learning the Korean language in Jeddah that has been proving a milestone in understanding of the Korean culture. 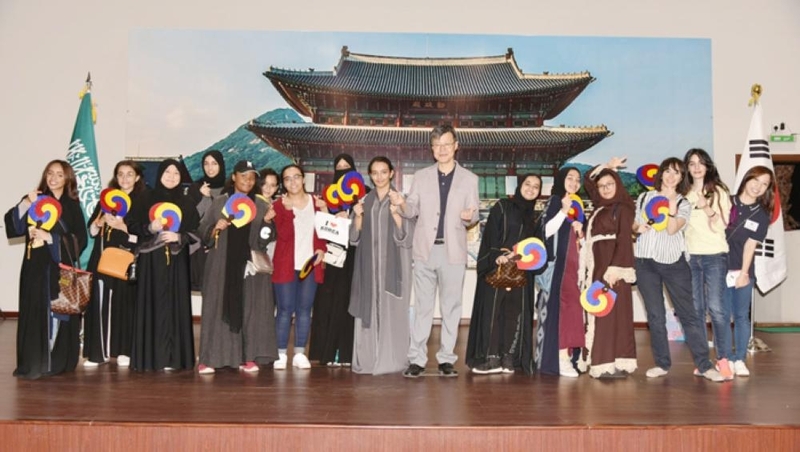 The Korean Consulate has been conducting such calendar events in the Kingdom to create a better personal interaction between young Saudis and Koreans, he added. Lee said that cultural day comprised of six different activities that K-food, K-pop, K-Language, K- Costume and K-exhibition where irrespective of age, profession and gender Saudis can explore walk of life of Korea. General Menu: Kimbob (rice), Bulgogi (beef), Haemul Pajeon (pizza), Japchae (noodle), Rabbokki (stir-fried chilly-sweat dish), Hotteok (snack). Special Dish: Kimchi (radish with Korean chilly). K-Games: Korean Traditional Game “Jaegi Chagi” is a unique game as is the Korean True-False Game where participants play the games true-false question and answer in regards of quizzes of Korean culture, history, language, food, and K-pop & drama, etc. K-Star: Saw a selection of Korean Songs and take the much more than 95 scores with one song for per person due to the limited time . K-Photo: Where pictures are shot with different themes of Korean own cultures and entertainments as a background. K-Language: Tell the name to the staff in K-language zone and the name will be printed out Korean language sticker as one-of-kind present for you. In addition to this, learn Korean basic expression at the section if you desire to say simple Korean word. Besides Saudis, Egypt, Lebanon and Syrian nationals other younger generation also showed its interest in various cultural activities especially in songs and sports. In fact, there were 63 members enrolled in K-Pop and K- Drama fan clubs in Jeddah that speaks volume of growing trend for Korean culture. 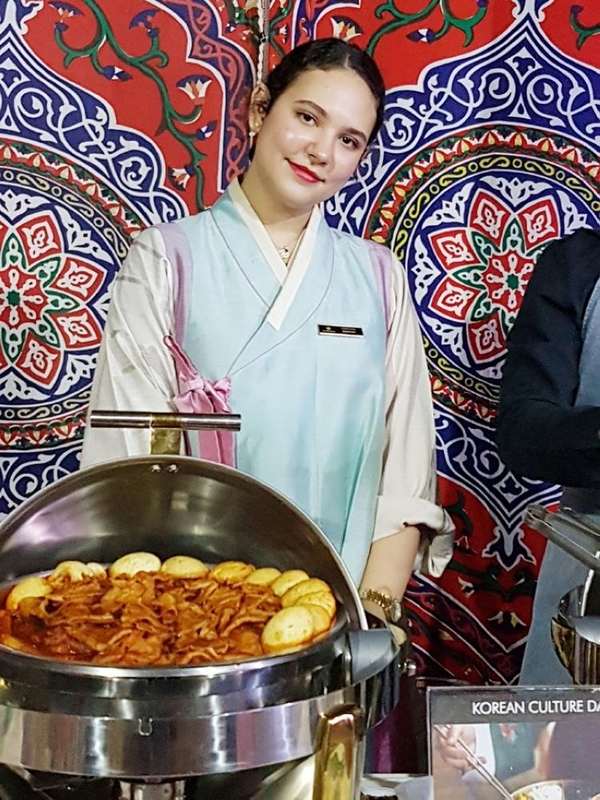 Shahd, a young Saudi lady who works in a Korean Restaurant, said that her restaurant is receiving several Saudi guests every day. The Saudis come exclusively for Korean food that had surprised her at the start of her job. She was serving Bulgogi and Rabbokki and other cuisines of Korea and comparing the difference in food taste. Korean women also served Haemul Pajeon, Hotteok, Kimchi and other dishes. Children and women have enjoyed playing Jegi Chagi, which is a Korean traditional outdoor game to play with feet where players keep struggling to Jegi up in the air and prevent it from falling to the ground. Also, many visitors were enthusiastic about traditional costume of Korean dress with women wear Habok and Chima much in evidence. There was a crowd at Korean drama section that displayed popular operas with Arabic sub-titles. Dae Gun Kin and other diplomats of the country personally took visitors to all pavilions by explaining the traditional importance of each and how in its own way is providing a bridge to other cultures.